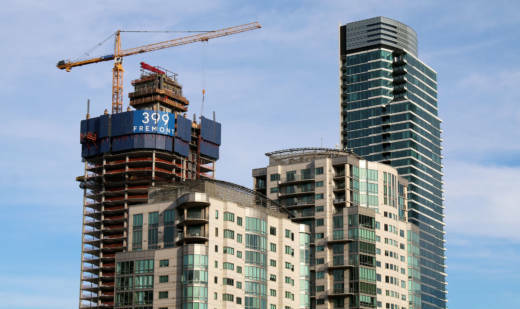 San Francisco supervisors voted Tuesday to support Proposition 10, a measure on the California ballot this November that allows for the expansion of rent control across the state. The nonbinding resolution to support the initiative, which was spearheaded by Supervisor Aaron Peskin, passed on a 9-2 vote, with Supervisors Katy Tang and Catherine Stefani opposing the measure. Peskin says rent control is essential to maintaining affordable housing in the state. "San Francisco and many cities in California have become terribly unaffordable and we have rising rents and a housing crisis," Peskin said. "One of the quickest ways that it can be addressed is through reasonable rent control protections." Proposition 10 would repeal the 1995 Costa-Hawkins Rental Housing Act, which curtails the ability of local governments in California to expand rent control. Currently, new rent control restrictions cannot be placed on homes built after 1995. The law also allows landlords to increase rental prices to market rates when tenants move out. This is not the first time the resolution to support Proposition 10 has been on the supervisors' agenda. In September Peskin brought it to a board meeting, where it failed to garner enough votes. Supervisor Ahsha Safai opposed the initial resolution, but last week he added amendments in an attempt to make the measure more palatable to the board's moderate faction. The changes included language that would have exempted single-family homes from rent control. But Peskin was able to push a vote on the resolution without the amendments. "I don't want to constrain the policy conversation that we all should have, if and when Prop. 10 passes," he said. The debates could foreshadow the divides at City Hall over rent control policy that may surface if Proposition 10 passes. Tang says she pushed for Safai's amendments to exempt future rent control changes on single-family homes because of feedback from constituents in the Sunset district, which is home to a large number of single-family houses. To Peskin, the vote was a signal that San Francisco politicians are ready and willing to expand rent control. "This is a statement of support," he said. "It sends a message to San Francisco voters that your supervisors are behind you." KQED's Guy Marzorati contributed to this report.